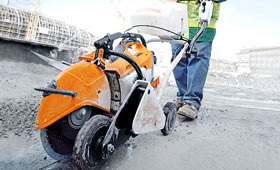 The STIHL GS 461 Rock Boss is built for freehand cutting of construction materials, such as concrete, natural stone, building blocks, sewage pipes, water supply lines, ductile iron and general masonry. The beauty of the STIHL GS 461 Rock Boss is the cutting precision, such as contour, corner and hole cutting to a depth of 16”. There’s no need for complex and costly tool attachments and intensive manual work. The new GS 461 Rock Boss is the tool that you’ve been waiting for. This high cutting performance concrete cutter reduces possible cutting errors and helps to save time on the construction site. 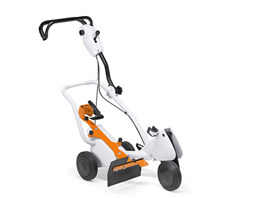 Lightweight, easy handling, ergonomic design and efficient water usage are additional features of another high quality tool that you’ve come to expect from STIHL. Cut-off saw cart and mounting kit sold separately - choose the mounting kit for your particular cut-off saw model from the list below. 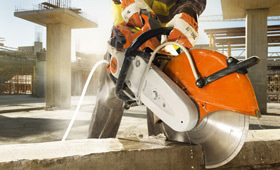 The STIHL BT 130 one-man auger is equipped with a QuickStop drill brake for additional safety. The brake is triggered by the operator's thigh as soon as the drill jams in the ground, bringing it to an immediate standstill. Hip padding is also included as standard. The innovative handheld drill BT 45 can be used to drill wood as well as planting holes. The NEW BT 130 one-man auger with advanced vibration dampening system and oversized hip cushion pad for operator comfort, features a low-emission engine and 25% reduced fuel consumption vs. its predecessor, the BT 121. 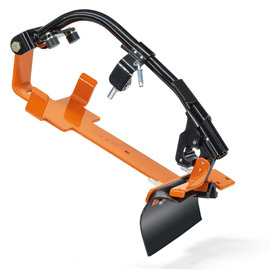 It is equipped with the exclusive STIHL® Quickstop® drill brake, triggered by the operator’s thigh as soon as the drill jams in the ground, and offers a vast array of auger bits (sold separately) for drilling holes up to 10” diameter in earth or in ice. 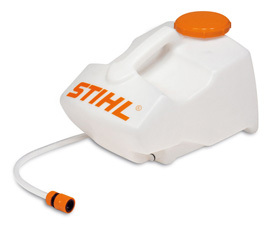 The innovative STIHL QuickStop drill brake makes a vital contribution to work safety. In addition, the QuickStop drill brake acts to stop backwards rotation. A jammed drilling bit can simply be unscrewed from the borehole.